Home / Entertainment News, Featured Articles, Videos / CHINESE man assaults a police officer in Hurlingham,, he even slapped him like a baby(VIDEO). 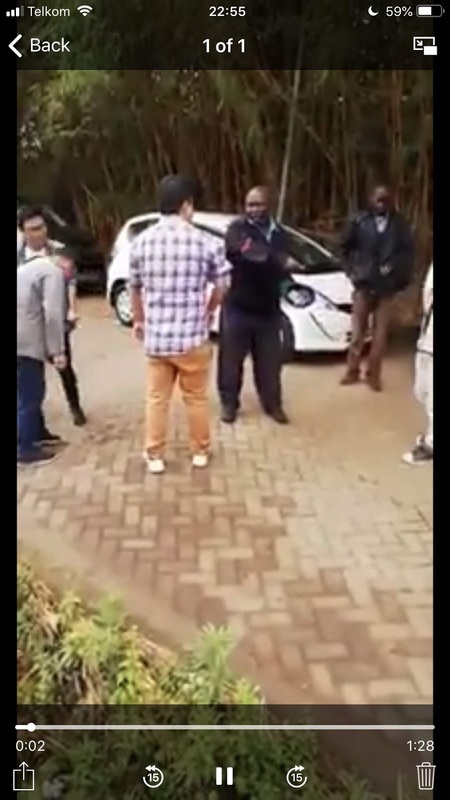 CHINESE man assaults a police officer in Hurlingham,, he even slapped him like a baby(VIDEO). Tuesday, December 11, 2018-A video of a Chinese National assaulting a traffic police officer in Hurlingham has emerged. According to blogger Cyprian Nyakundi, the traffic police officer stopped the uber they were travelling in and demanded to check the car. He ordered the Chinese men to belt up for their own safety and instead of obeying the cop’s orders; one of them came out of the car and assaulted the police officer before driving away so fast. ” This incident happened around Hurligham area. They picked an Uber from Akilla and reaching Huligham , they were asked by a traffic officer to check the car and he found they didn’t belt up and the police officer asked them to belt and one of them got off, there was a commotion one of them slapping the police officer then they moved fast off” An eye-witness who sent the video said. Check out the video of the confrontation.